As an introduction to the collection, you can see below a selction of interviews with Devon, Phil and Gerald Uzzell, as well as Club Trustee Martin Weiler. Devon, aged 12, Phil, aged 48 and Gerald, aged 80, and their contributions below, represent the experiences of three of the four generations of collecting Uzzells. Edgar Uzzell, who gathered the earliest material of the collection, passed away in 1956. The re-discovery of his records, described by Martin Weiler as a "treasure trove", was a significant moment for both the family and the Club. 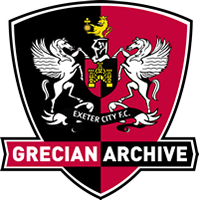 Though these interviews are not part of the Uzzell family Collection, they offer us some valuable contextual details about how the collection came to be, and how it came into the hands of Exeter City Football Club and the Grecian Archive. The interviews also allow us to gain some insights into the experiences of the family as collectors, and how collecting practices, and collectable materials, have changed across successive generations. 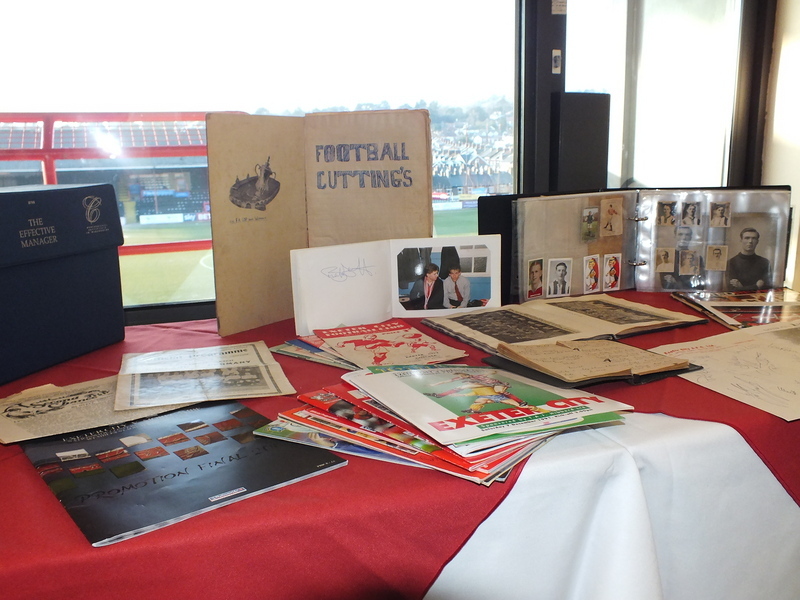 This footage was taken at the Club with Gerald Uzzell himself, who takes us through some of his memories concerning his life, his time supporting ECFC and the collection. 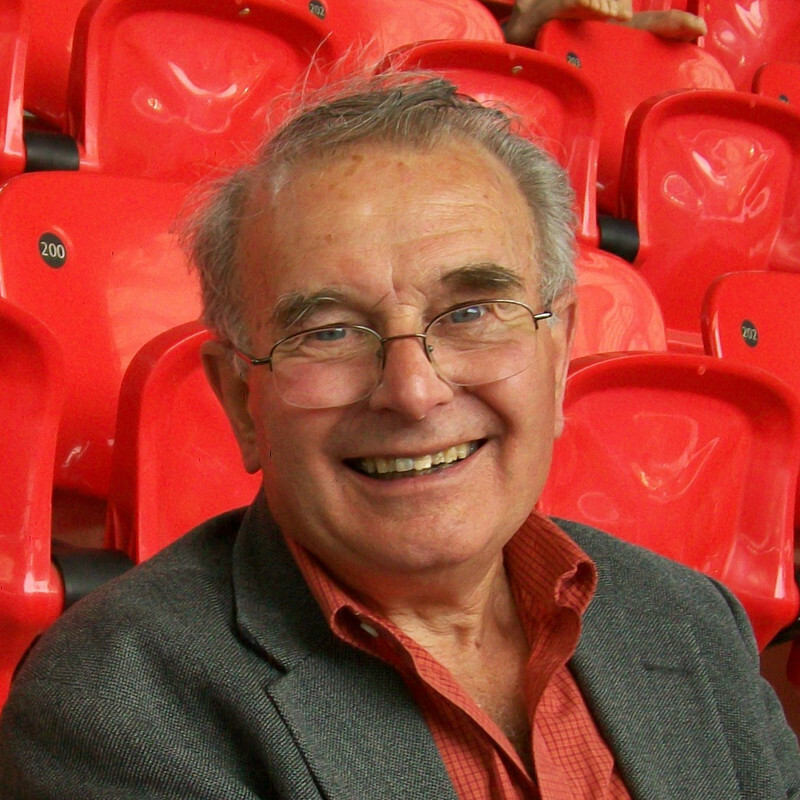 According to his son, Phil, Gerald was born in Exeter in 1935 and became a 2nd generation City fan when he attended his first game in 1946. Gerald followed in the footsteps of his Uncles Edgar, Ernest and Percy, and he fondly remembers sitting with his father, Hubert, in the old grandstand – their season tickets being for Block A, Row F, seats 20 and 21. He began a long career working on the railway at Exmouth booking office in August 1952. After a number of local jobs, he moved to London in 1956 to gain promotion but watched Exeter whenever he could. During this time, he met his wife, with whom he moved, first to Hampshire and then to Kent in 1974. He retired a few years after suffering a stroke, which happened in the 'Cowshed' whilst watching City play Swansea in December 1991. This interview footage was captured by our student group in discussion with Martin Weiler, a trustee at the Football Club, and one memeber of the history group that helped to bring the Uzzell collection to light. 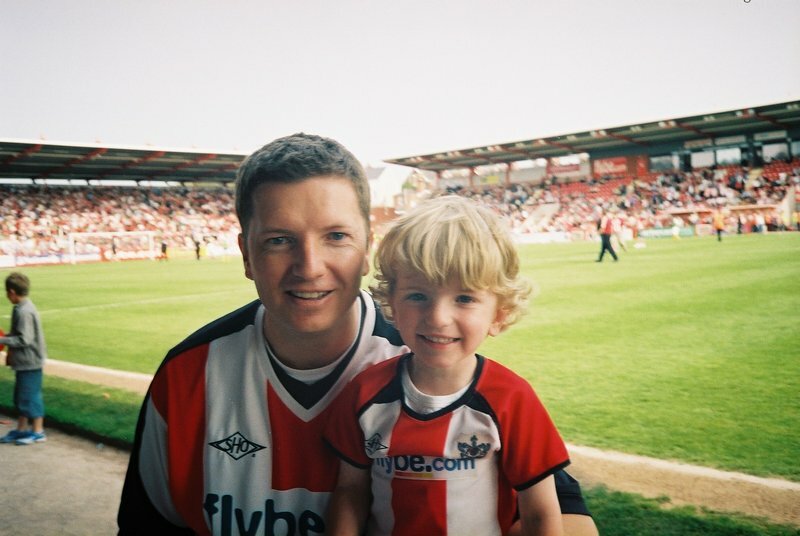 As Martin emphasises, fan collections like those of the Uzzell family are a valuable resource for the club in their own right, as well as a testament to the loyalty of Exeter City Football Club's supporters. Devon: Tickets from matches I attend and photos of favourite players cut out from the newspapers sent by grandad's friend in Exmouth and put into a scrapbook with my match tickets (Gerald has a friend who forwards all the cutting from the Express and Echo every fortnight.) Replica shirts, some have my name and number (something my dad never got to have as a kid). Phil: Mainly programmes, but actually anything to do with Exeter City. I have really random stuff. While my grandmother was still alive, she always used to give me the official club team photograph as a Xmas present. This habit stretched from the 1980-81 season until my last one, which was from the 1998-99 season. Little did I know that when we found 'the box under the stairs', I would inherit similar photos from the 1920s! Devon: The first thing I remember getting was a teddy bear with a knitted red and white jumper. I don't remember my first ticket. I had my first football shirt when I was 4. It was a City home shirt. Phil: The programme from my first ever match; Away at Gillingham on 12th November 1977. We lost 1-0 and as I only got to see matches when we were on holiday in Exeter (where my grandparents still lived) or if Exeter were in and around London, it took 7 matches and over a year to actually see Exeter win a match (when we beat Oxford 2-0 at St James Park on 20th January 1979). What would you like to happen to the collection in the future? Devon: I want to keep collecting so the collection grows even more. I would want to put some on my bedroom walls. Phil: I have mixed feelings. We are blessed to have stumbled across some real treasures and it would always be my wish to keep these in the family so long as they are loved and appreciated. That said, I also appreciate that some of the pieces are of genuine interest and historic value, so it seems only right to share these with the club and help as many people as possible to enjoy and learn from them.